Kale has been a hot commodity for the past few years, but I find a lot of people still don’t know how to make it taste good, so here are three ways to make it delicious and incorporate more of it into your diet. 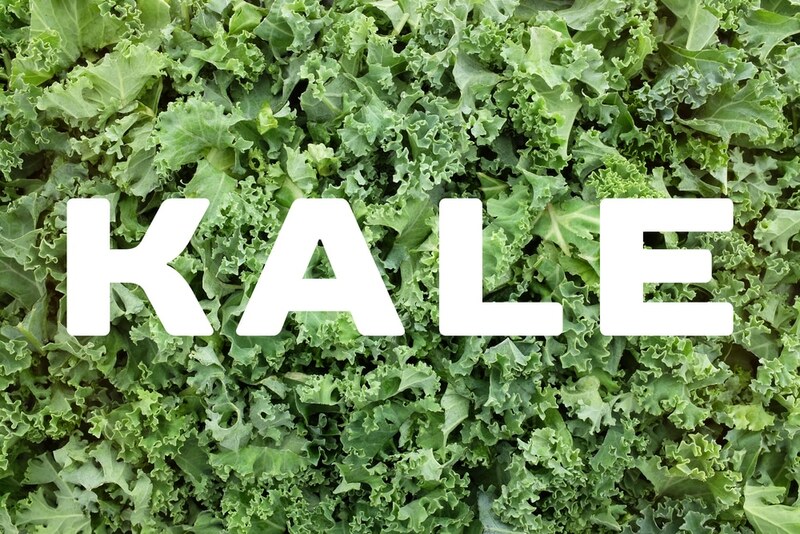 Kale is part of the cruciferous vegetable family, which is one of the healthiest things we can eat. You cannot eat too much of this! Cruciferous vegetables have been shown to protect from a number of cancers, help reverse auto-immune diseases, and cut inflammation. Kale can definitely have a strong taste in smoothies, but it can also be one of the most delicious ways to consume it. If you’re new to the kale game I definitely would NOT start with dino kale or purple kale in a smoothie. You just need to get the regular curly kale because the taste of it can be masked easier than the other two. The first thing to do when making a smoothie with kale is blend just the liquid (i.e. water, plant-based milk) and the kale up first before the rest of the ingredients. If you don’t have a high speed blender and don’t do this step it can leave little pieces of kale in the smoothie. Once you have the kale blended well, blend the rest of the ingredients together. This Cinnamon Kale Smoothie or this Body Boosting Blueberry Smoothie are great options to start with. 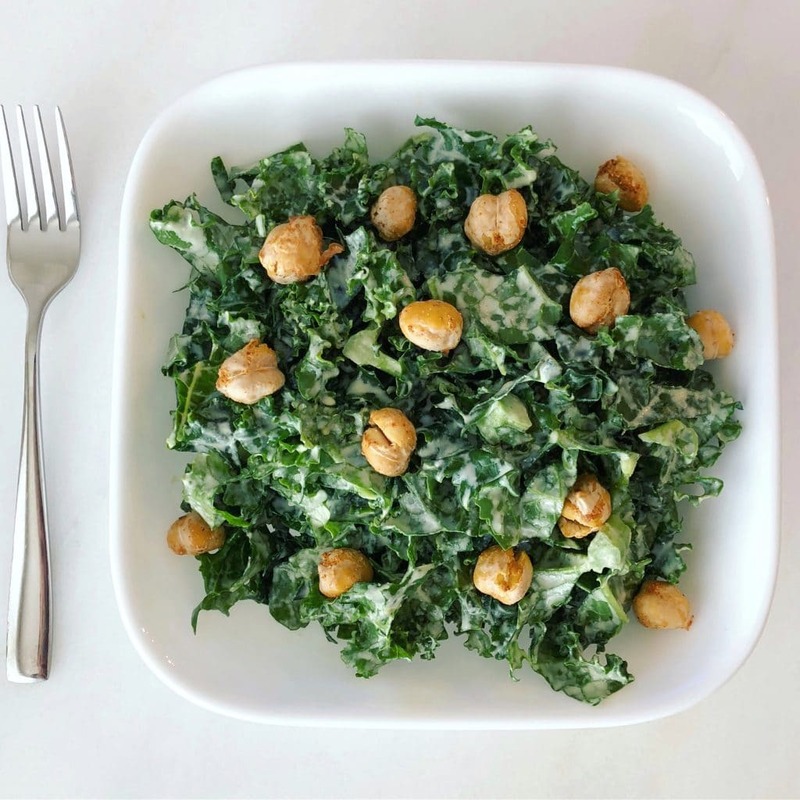 Kale salads tend to require a little more work to make them tasty, but once you’ve got these tips down it will be easy and hopefully have you loving a kale salad. Kale has huge, stiff leaves so I prefer to chop it. This knife makes it really easy to do. After chopping, place the leaves in a big bowl. Now, you’ll need a good batch of salad dressing. I find “creamier” dressings work better than vinaigrettes, but if you’re a vinaigrette fan, definitely go with that. I like to use this caesar dressing with it. Drizzle the dressing all over the kale. Okay, this next step is the most important one. You massage the dressing into the leaves really well with your hands. Make sure to massage them long enough until they start to feel softer and look like they’re wilting a bit. Then, just let it sit for five to ten minutes and it will wilt a little more so the leaves aren’t so crunchy and stiff. I like to top our salad with roasted garbanzo beans but mix in whatever toppings you like and that go well with the dressing. I love doing a stir-fry for an easy weeknight meal. I chop up whatever vegetables I have in the fridge like kale, carrots, cauliflower, mushrooms, onions and broccoli. I really like dino kale for a stir-fry, but honestly any type of kale works well. I will also add white beans or tofu for a good plant-based protein. I usually sauté with a homemade Tamari-based sauce that has ginger, garlic and other seasonings mixed with it. Sometimes I use just Tamari to sauté the veggies, and then put a tahini thai sauce on before serving on a bed of cauliflower rice or quinoa. *Note: Adding a little mustard powder to cook cruciferous vegetables helps your body absorb all of the nutrients, similar to adding a good fat. I hope this inspires you to start incorporating more kale into your life. I would also love to hear what your favorite way to eat it is in the comments below. Lately, all of your questions have been inspirations for my blog posts. Please email me or shoot me a message on Instagram or Facebook if you have a question or specific topic you would like to see on the blog. Great tips! It took me a while to get onto the kale train, but I love letting in marinate in a vinaigrette for a little bit, before digging in. It makes all the difference! Megan. Love you’re tips, but when will you write a book? Kale in stir fry…totally adding it the next time we make it. Great tips! Yes, it’s so easy and taste good! Thanks! We LOVE kale in our house, and use it in all three ways! Also love it in soups! I love kale anytime and these are some great ideas! I love kale! Thank you so much for the wonderful tips and ideas! Good idea in adding caesar dressing to kale salad. The creamier, the better. Adding some toppings would make it tastier and a healthier meal too.